Don't Trans People's Lives Matter? 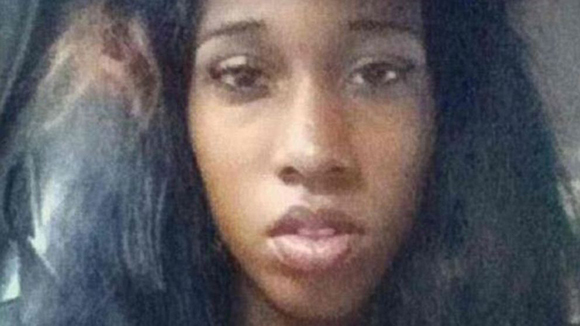 A 20-year-old Harlem man, Paris Wilson, was arrested a few days after the attack; according to published reports, he was a Facebook friend of Nettles, but had not known she was transgender until he encountered her on the street. Attacks on trans people are all too common, and trans people and their allies have responded by demanding justice. 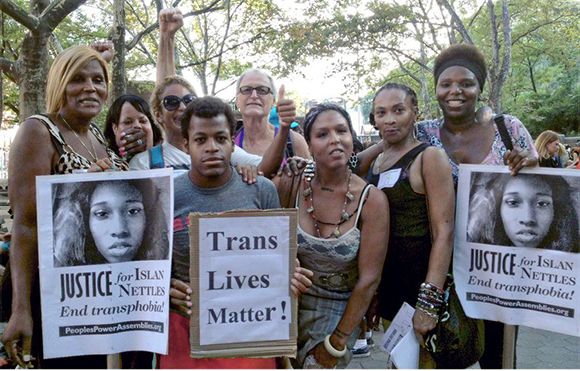 Several hundred people turned out for a rally in Upper Manhattan Aug. 28. But this case highlights some particularly disturbing questions about how government and the media deal with anti-trans violence. Wilson was charged only with misdemeanor assault and harassment, and freed on $2,000 bail until his next court appearance, which is not scheduled until October. Mainstream media coverage of the case has been skimpy–the New York Times has published only one story about the attack; the Daily News and The Post only two. There has been no coverage since the rally more than a week ago. A crowd demonstrates demanding justice for Islan’s murder. Contrast the Nettles case to the killing of Mark Carson, a gay man, in Greenwich Village last spring. Elliott Morales was arrested for shooting Carson the same day; he was held without bail, and charged with murder by the grand jury only a few days later. The New York Times carried four stories on the Carson killing in the next 10 days, one of them on the front page. The other New York newspapers and television stations also gave the case major attention. Thousands of people marched in Manhattan to protest the killing, and the city police stepped up patrols in the neighborhood. There have long been accusations that New York City law enforcement is much more sensitive to crime in white, middle- and upper-class parts of the city than in poor black neighborhoods. There’s also good reason to believe that the lives of trans people count for less in the eyes of officialdom than those of cisgender people.